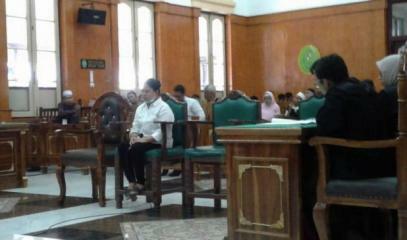 Prosecution calls for an 18-month sentence citing a fatwa. In July 2016, her complaint triggered one of the worst episodes of sectarian violence against ethnic Chinese Buddhists. Human rights activist calls for the repeal or modification of the law on religious defamation. 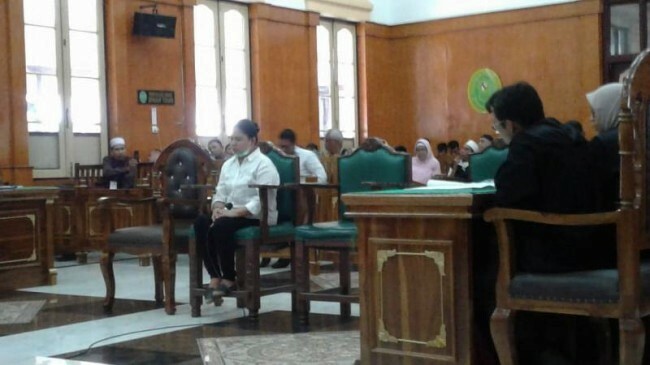 Jakarta (AsiaNews) – An ethnic Chinese Buddhist woman resident in Tanjung Balai (North Sumatra province) could get of 18 months in prison for "offending Islam". 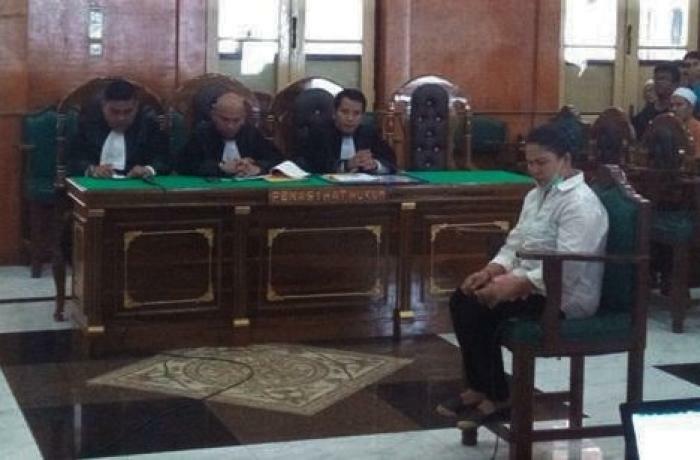 Meiliana (pictured), 44, is accused of blasphemy. In 2016 she complained that the azan (the Islamic call to prayer) at a mosque near her home was "too noisy" and "harmful" to her ears. In the world’s most populous Muslim country, any comment on Islam is a delicate issue and the consequences can be dire. 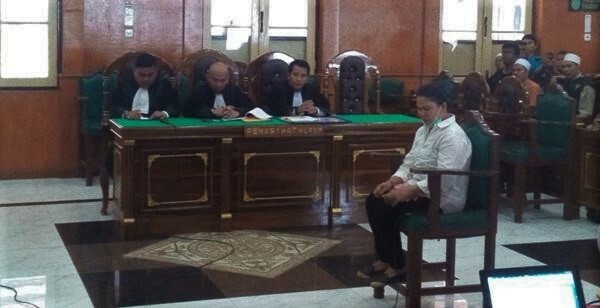 In their case before the District Court in the provincial capital, Medan, prosecutors called for a conviction of the accused woman, citing a fatwa issued by the local chapter of the Council of the Indonesian Ulema (MUI), which described her remarks as "blasphemous". When she complained in July 2016, one of the worst episodes of sectarian violence in the Tanjung Balai regency followed. Claiming to be offended, groups of Islamic extremists burnt at least six Buddhist temples and houses of prayer. Seven of the attackers were tried and sentenced but only to a few months in prison. Andreas Harsono, a member of Human Rights Watch, criticised the "excessive flexibility" of the rules governing religious defamation, like Article 156A of the Penal Code of Indonesia. The latter “dates back to 1965,” Harsono said. “For almost 40 years or five presidential terms, it was used only eight times. However, during the Yudhoyono administration (2004-2014), the law was enforced in 89 cases, with 25 people sent to prison. Under Widodo, who was elected in 2012, there have been 22 cases, including the trial of the former governor of Jakarta and that of Meiliana." The activist calls on the Indonesian government to repeal or modify the existing legislation in order to reduce the possibility that other people might be punished by "unjust rules". Located a six-hour drive from Medan, Tanjung Balai is a small town where several, mostly Muslim ethnic groups live. They include indigenous Melayu, Javanese migrants from Central and East Java, Batak from the North Sumatra, and finally Nias, from the homonymous island. Ethnic Chinese Buddhist are a minority and have experienced episodes of intolerance in the past. In 2011, a Muslim filed a complaint after a large statue of Buddha was erected at the Tri Ratna prayer house. Rallies and protests followed during which Islamists claimed that the sculpture would "damage the image of Tanjung Balai as a Muslim city".